Following on from the acclaimed release at SteamCon 2017, of the Angel and Salt bust and their launch item of Veteran Rage back in March of last year, Broken Toad’s newest offering is released this month alongside the Ratcatcher’s Guild, Paying the Piper boxset. 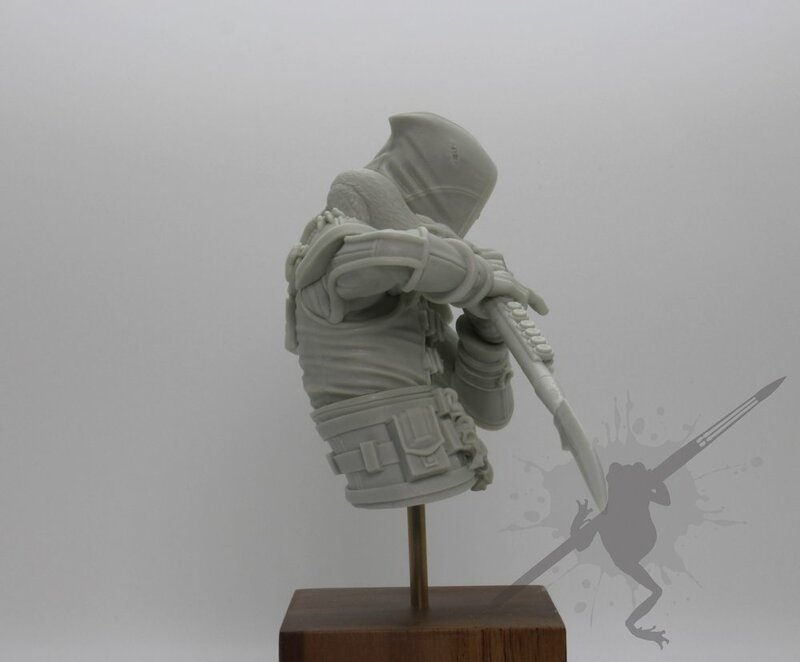 This latest contribution to Broken Toad’s range of exquisitely cast busts, is none other than the master ratcatcher himself Piper. 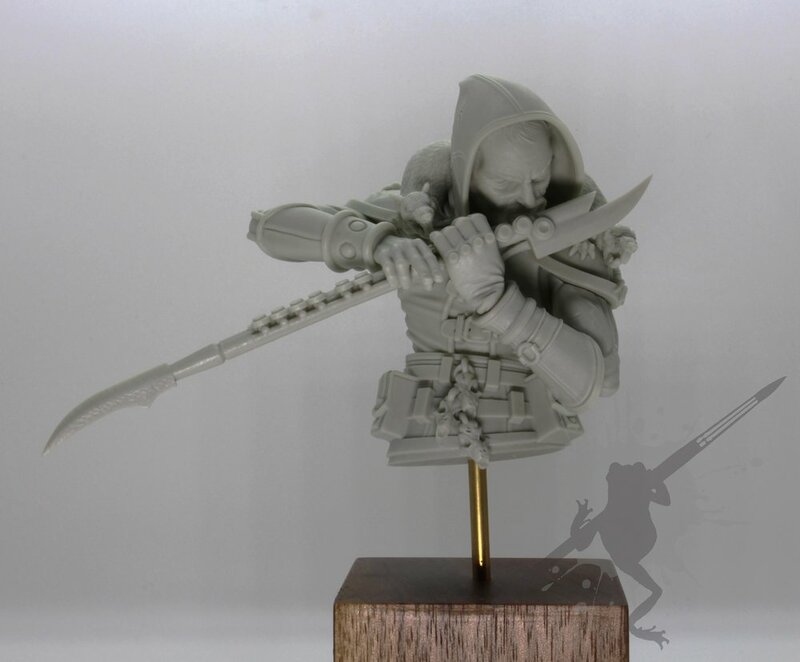 Crafted in the finest resin, the piece depicts Piper playing his flute as his furry friends scutter about his shoulders, skulls of those unfortunate enough to meet their end by his hand his waist. This excellent addition to any Sportfans collection is available for sale now from Broken Toad’s webstore here, and our webstore here. Who do you think the next bust will depict? Which bust would you like to see produced by Broken Toad? Let us know and we’ll see if we can make it happen! Following on from the blog which announced our new partnership with All Rolled Up at the end of last week, comes another exciting announcement for the followers of Guild Ball’s supporting products! Those who were fortunate enough to have attended Salute and come to see us may have seen something new, lingering in the shadows and darker corners of the booth! Fans who were fortunate to have picked up one of these from Salute have all said how brilliantly detailed it is and would be an excellent addition for any new Ratcatcher's Guild Coach, seeking to make a name for themselves on the Pitch. We're sure you’d agree that the mat is so good that you can almost smell the rancid vapours rising from the sewers below. Suitably evocative of our very own Ratcatcher’s Guild, no? The Ratcatcher’s Guild themed mat is available to purchase from Deep Cut Studios, and from our own Webstore. Deep-Cut have already started working on the Falconer’s Guild themed mat design and will be working hard to create new designs for all the other guilds as well over the coming months – making sure no guild is left out! Which guild’s mat can’t you wait to see be brought to life?